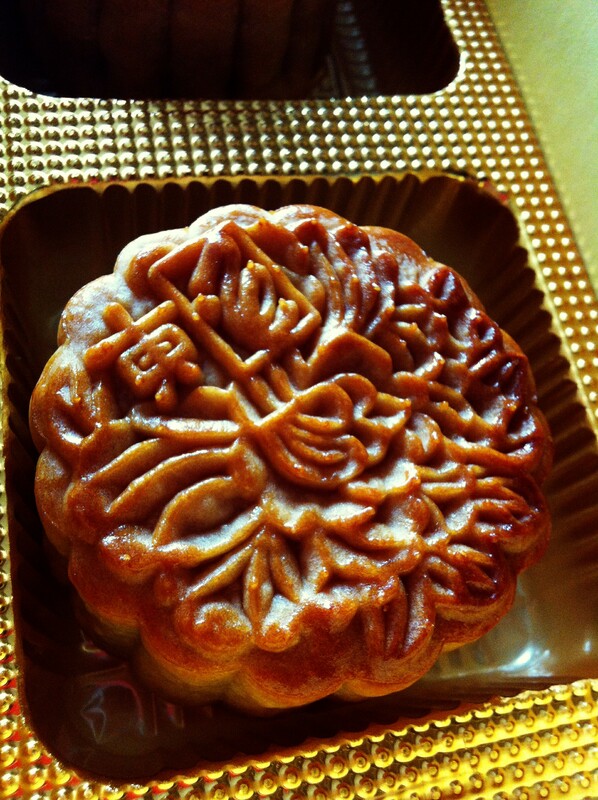 The answer : A Mooncake! Are you friggin kidding me? I just ate like half! 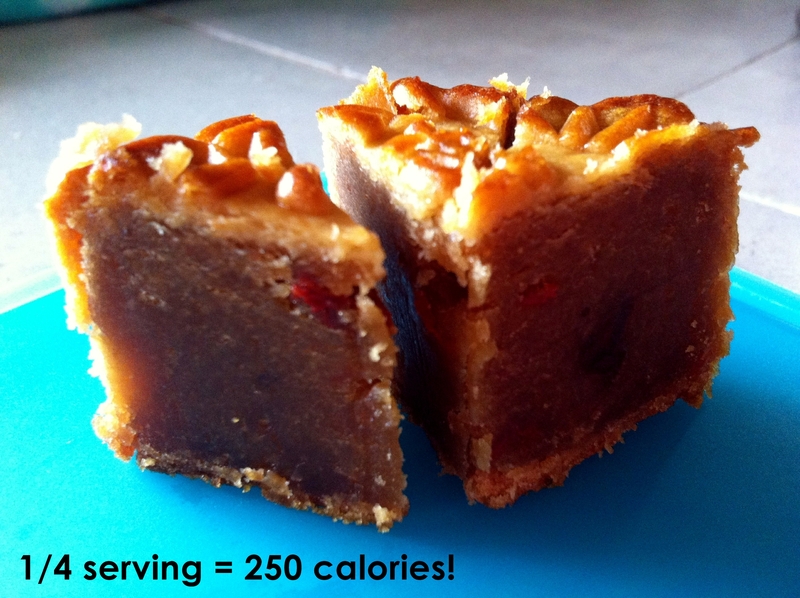 According to Asiaone, this asian pastry has a whopping 1000calories! I don’t even want to think about what I have to do to burn them off. I already posted on what it takes to burn off the fast food you eat and this just wins hands down. For the uninitated, the mooncake is (according to wiki, read more here) , a Chinese bakery product traditionally eaten during the Mid-Autumn Festival /Zhongqiu Festival. 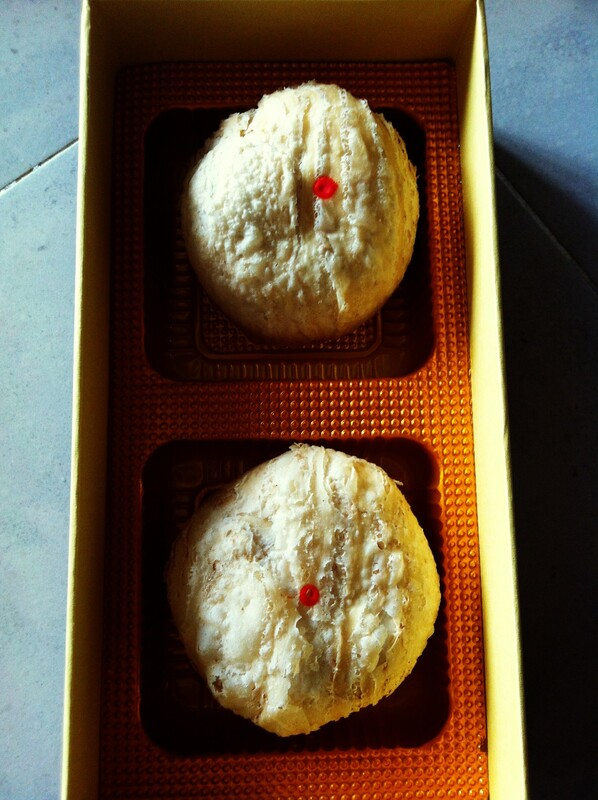 The festival is for lunar worship and moon watching, when mooncakes are regarded as an indispensable delicacy. Mooncakes are offered between friends or on family gatherings while celebrating the festival. The Mid-Autumn Festival is one of the four most important Chinese festivals. Luckily for us, it is eaten only once a year. 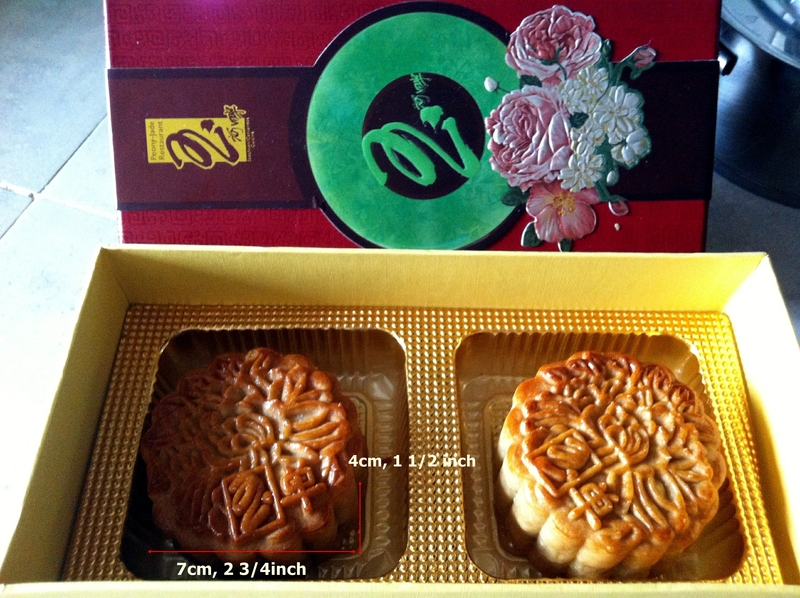 How big is a mooncake? 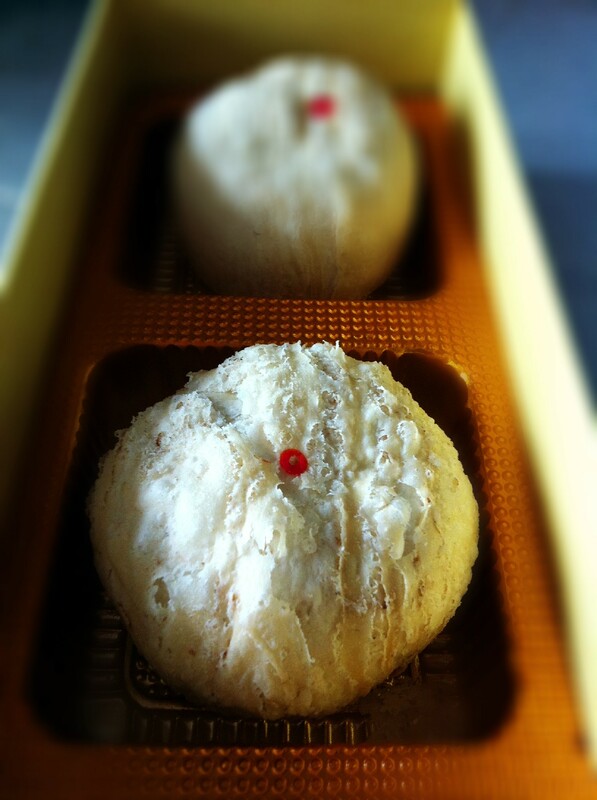 We also have Yam filled mooncakes, or Teochew Orh-Ni mooncake. Traditionally,it has flakier skin and yam paste is used for the filling instead of lotus seed paste. 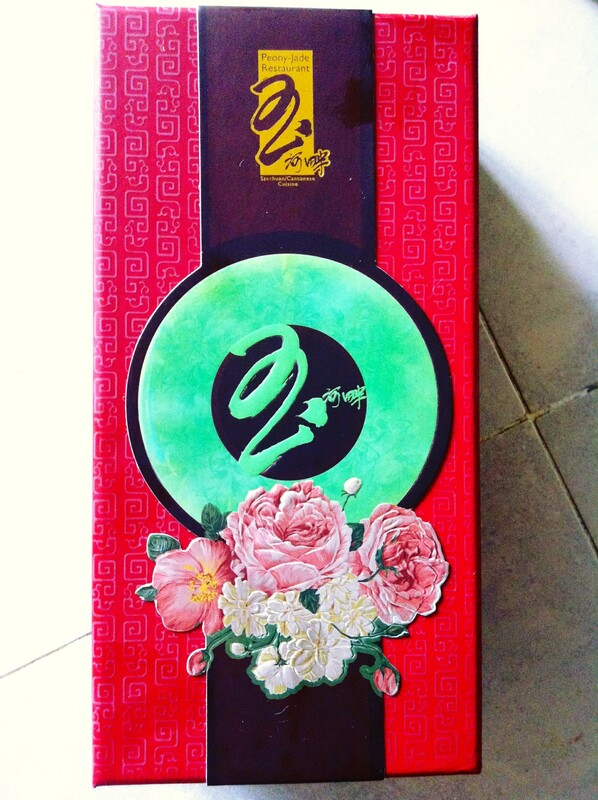 This one is from Peony Jade restaurant and is healthier as it has Premium Fragrant Golden Pumpkin. Pumpkins are rich in α and ß carotenes, as well as folates, niacin, vitamin B-6 (pyridoxine), thiamin and others. 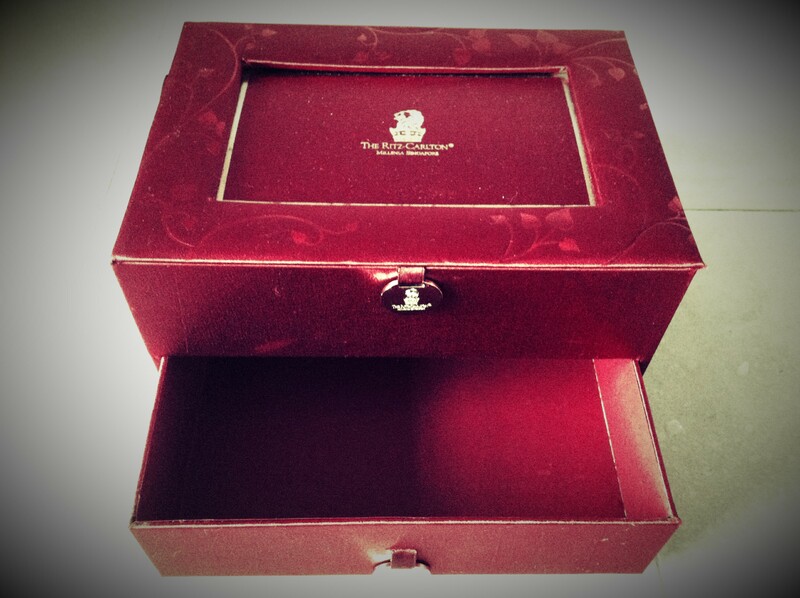 this was given by a friend, I took out the mooncakes and put them in the fridge. Interesting read. Would you kick up a big fuss if your country’s representatives to the Olympics wore clothes that were manufactured in China? Maybe it’s a lingering Independence Day hangover, but it seems that everyone in America has jumped on the patriotic bandwagon over the United States Olympics uniforms. On Wednesday, Ralph Lauren — arguably one of the most iconic American fashion designers — released images of the opening ceremony uniforms designed for the 2012 U.S. Olympic team. By Thursday, besides drawing criticism for the garments’ sartorial shortcomings, consumers, politicians and the media were gasping over another jarring detail: our elite American athletes are going to appear on the international stage wearing clothes manufactured in China?